how long after the production date tho? state of IL says you hafffta give up your title. When I buy one it'll have a factory catback with electronic cutouts after the long tubes. 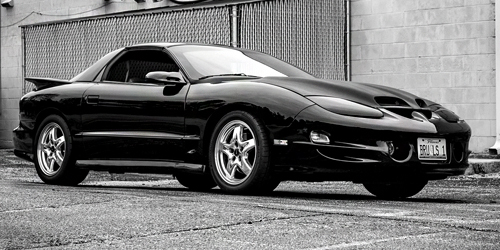 get the one with the ls2 because then you can use the l92 heads which are from gm performance parts. They flow better than afr's but you can't use them on the ls6. you have to have a 4 inch bore which the ls2 comes with from the factory. So if you ever wanted to mod the car with something such as heads cam, this would be the best way to go In my opinion. OH MY GOD its like two apricots! ! ! I've been reading up on the car since I've been home from work, and didn't realize the extent of the diff problem with those cars. I knew there was an issue, but I don't know if it's one of those things blown way out of proportion. I'm looking into some of the wheel-hop-eliminator options right now. Yeah, it looks like there's an aftermarket cradle that will help eliminate wheel hop, although not entirely. It seems this car is set up more of a road racer than drag car, and I guess more than a few guys have grenaded the stock diff at stock power levels. Hmmmm. I'm sure if I drive smart and don't stay in it during wheel hop like what I'm thinking these asshats did, I could probably get away with a few trips to the strip a year. yeah youd be fine if you can drive. Cobrajack has stock diff. he launches at 4500 rpms, no issues. He has a brace and bushings. Just "misplace" ur title, my bros buddy just totaled his 96 accord and he had to buy it back cuz he didnt have the title. Is there a such thing as a auto Cts-V? Why not? There are people who want power but not have to be bullshitting through traffic shifting all the time. I understand the advantages of Stick but for some people its not worth the extra hassle/inconveinence. I could care less about the extra rpm's and few 10ths on the track. Cant shift faster than a auto thats for sure! thats the only reason i didnt get a v i dont want to drive a 6 speed every way. the camaro has one i dont want my DD to have one too.